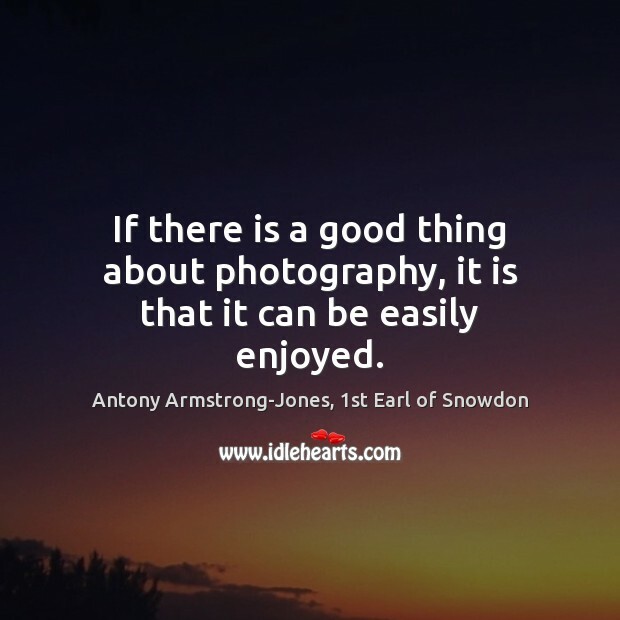 Enjoy the best inspirational, motivational, positive, funny and famous quotes by Antony Armstrong-Jones, 1st Earl of Snowdon. Use words and picture quotations to push forward and inspire you keep going in life! 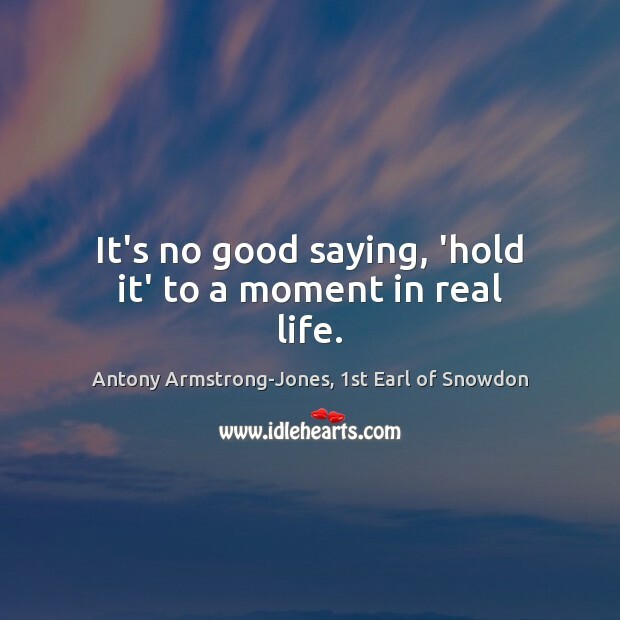 It's no good saying, 'hold it' to a moment in real life. 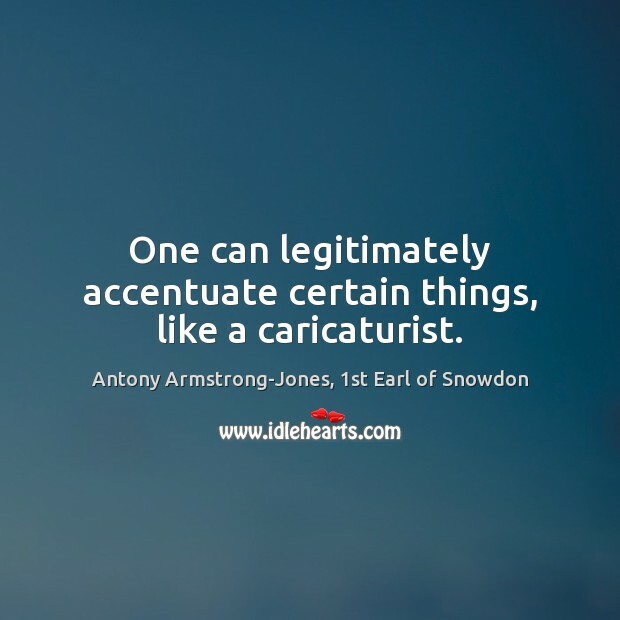 One can legitimately accentuate certain things, like a caricaturist. 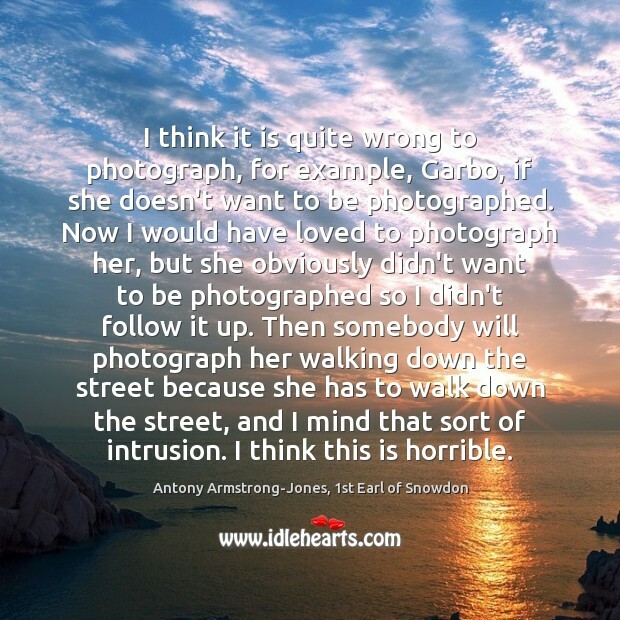 I think it is quite wrong to photograph, for example, Garbo, if she doesn't want to be photographed. Now I would have loved to photograph her, but she obviously didn't want to be photographed so I didn't follow it up. Then somebody will photograph her walking down the street because she has to walk down the street, and I mind that sort of intrusion. I think this is horrible. I'm not a great one for chatting people up, because it's phony. I don't want people to feel at ease. You want a bit of edge. There are quite long, agonized silences. I love it. Something strange might happen. I mean, taking photographs is a very nasty thing to do. It's very cruel. 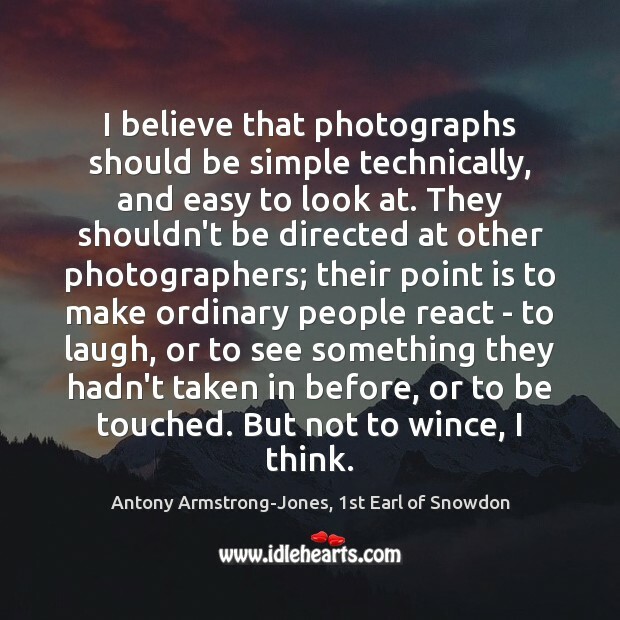 I believe that photographs should be simple technically, and easy to look at. 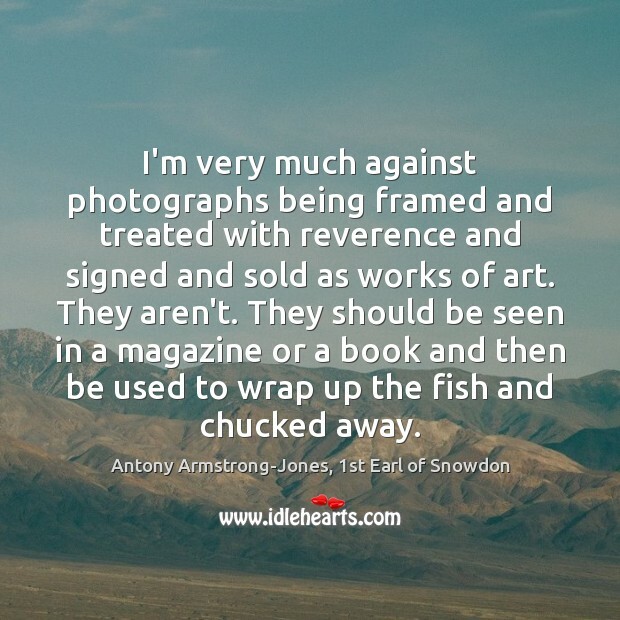 They shouldn't be directed at other photographers; their point is to make ordinary people react - to laugh, or to see something they hadn't taken in before, or to be touched. But not to wince, I think. I think it's all absolute nonsense how people talk about photography as being an art. It's a very menial career that you do if you draw badly. Now they teach it at the Royal College of Art and get grand about it. It's the only course there that I don't understand. I'm very much against photographs being framed and treated with reverence and signed and sold as works of art. They aren't. They should be seen in a magazine or a book and then be used to wrap up the fish and chucked away.